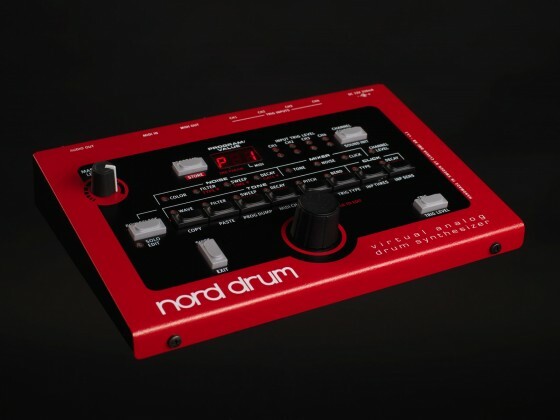 reminds of the drum module in the G2 (still hope for a sampling G3 modular synth)- possibly it’s sort of turing the Nord Lead 2’s real cool drum mode into a drum synth with the synth simplified – let’s check how this will be edited and how things are. But it looks like a dedicated drum synth. less parameters compared to the nord leads. Forum • Namm News. you may know, they really love it to keep us in the dark, there was an announcement for a drum thing (a drum sampler), but that render could be a cool nord modular G3 micro as well, but I wouldn’t trust in this and go for the straight idea this is in fact for drummers, but – well – why not dreaming of a g3 coming..? 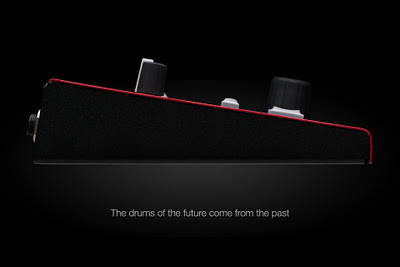 NAMM starts on the 19.1. so after the Casio and Moog announcements and Akai going „Maschine“ – we might hear one or two more things within the next 1.5 weeks..
and well, it’s very clearly said – it’s drums. but we never know.